Are Ethan and Malachai involved in the TV Show? Yes. For each episode we are involved in varying degrees. 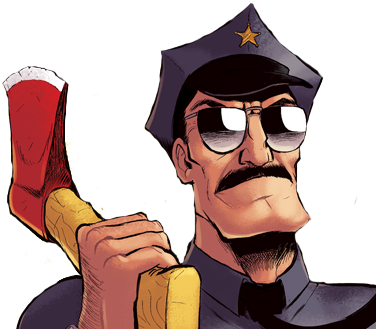 Ethan has worked in the writing room on many of the episodes, working with the other writers to adapt Axe Cop into 11 minute TV episodes. Also, when needed, the writers have Ethan ask Malachai questions to fill in gaps and to get ideas from him. Often, if Ethan is present, they will call Malachai on speakerphone and get his input on the story they are working on. Malachai is not as offended at re-imagining a story as some other creators might be. You just ask him “what if it happened like this” and he is excited to pitch ideas. There are episodes where Ethan and Malachai are less involved, but that is just the nature of TV.